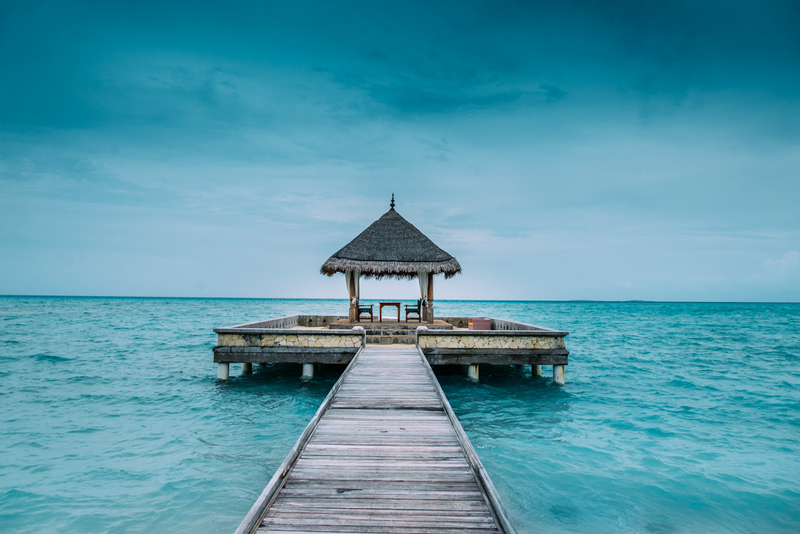 When people travel to the Maldives, more often than not it is for the big things; expanses of aquamarine, sublime sunsets and captivating coral reefs. However, with more than 100 resorts to choose from across the 26 atolls, the race is on to give guests the ultimate experience. With the world’s hospitality experts working night and day to outdo one another, it’s the fine details – from service and design to architectural quirks – that set the resorts apart. 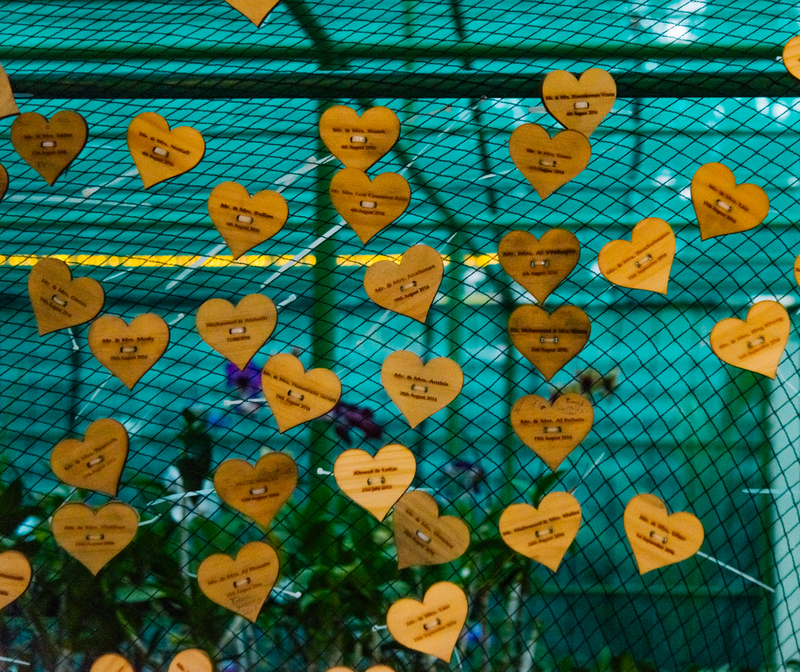 So, here are a few of the ‘little’ things that we’ve noticed on our recent trips. 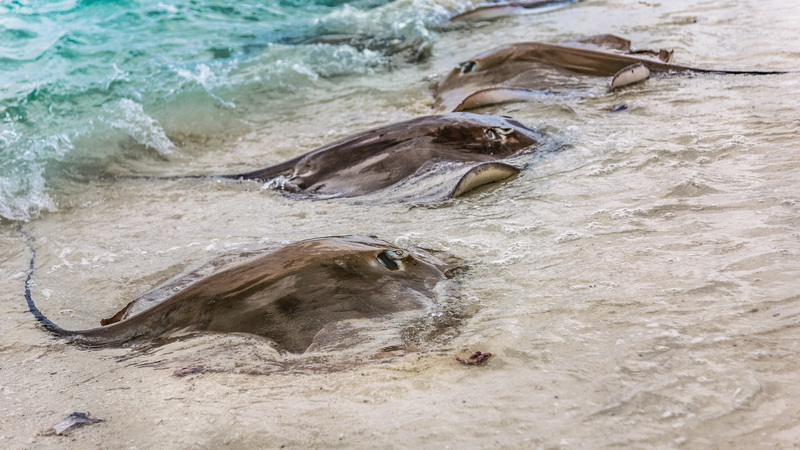 The relaxed atmosphere of Taj Vivanta’s Coral Reef resort is accentuated by the daily feeding of the stingrays, who have become firm favourites in the island community. 5pm every day means it’s time to head to the beach and watch these normally-graceful creatures slurp up the surf, with guests encouraged to help!! In a resort with such keen attention to detail, classy quirks can be found all over Baa Atoll’s Finolhu beach club haven. 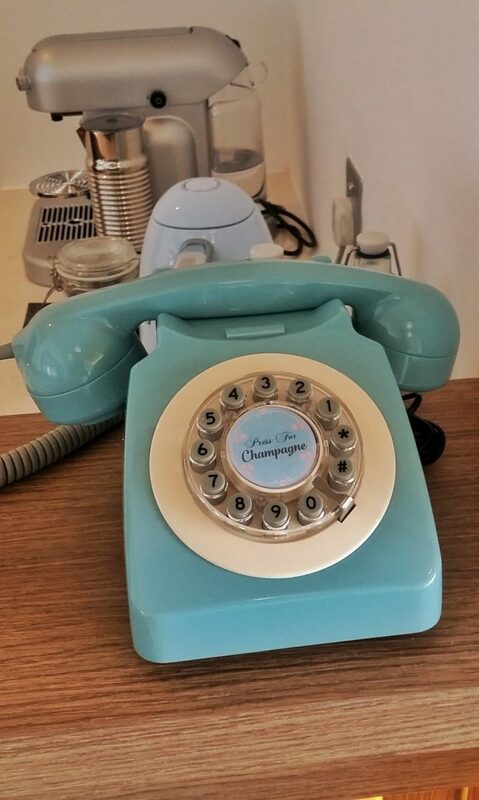 But this 1960s vintage model phone, provided exclusively to order champagne, is perhaps the best example of the retro luxury on offer. With most islands averaging between 1 and 2 km squared, getting around your resort is never a problem. But, for those who find themselves racing to catch that sunset, or a little late for their spa appointment – bicycles are often provided, which is nice. 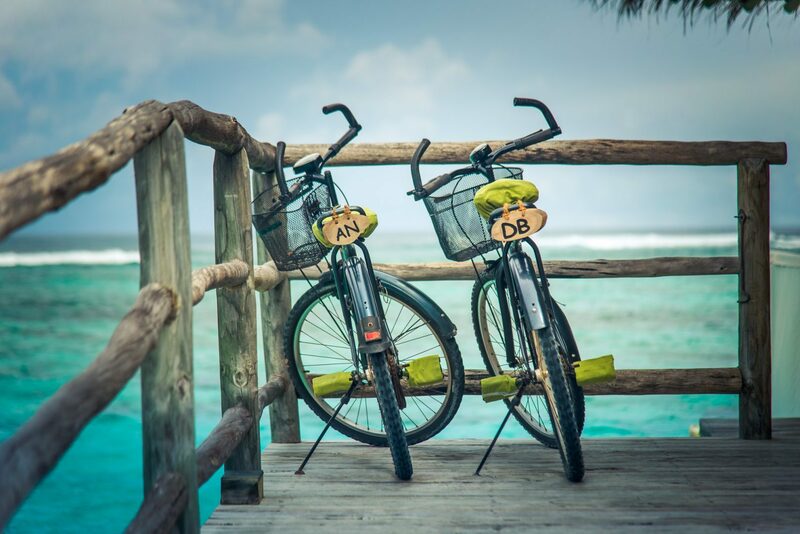 Even nicer is YOUR own bicycle, personalised and waiting for you upon arrival at Six Senses Laamu. 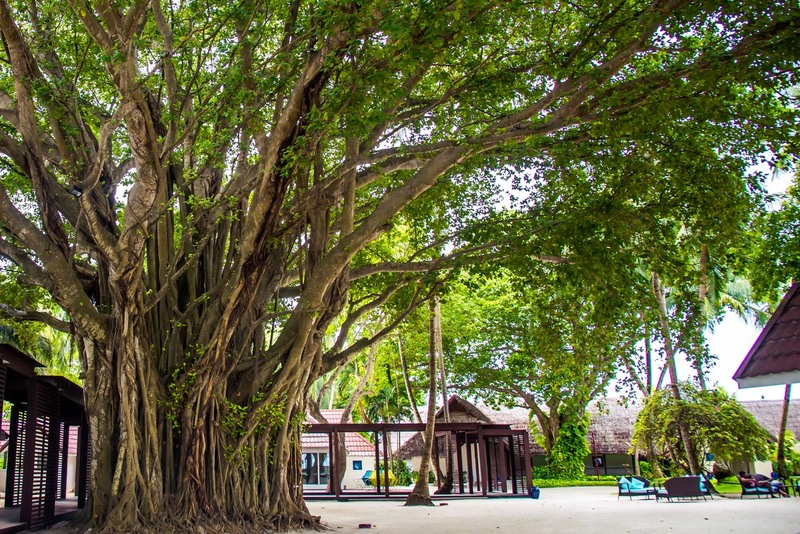 Better known as a hive of activity, with an endless array of activities and entertainment, life on Club Med Kani is overseen by a towering Banyan tree around which the resort seems to revolve. The presence of nature in the midst of luxury. Designed as the first fully solar-powered resort, Club Med Finolhu Villas proudly shows off its renewable raison d’être with a corridor of panels greeting guests on their arrival. 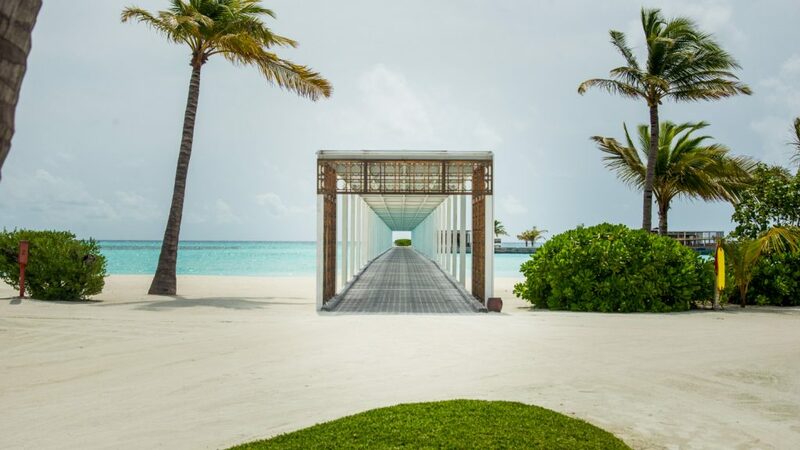 The solar streets continue up to your water villa. With its wealth of dining options, even regular guests at Taj Exotica will struggle to make their way through the menu. For the more romantically-inclined however, they can spice up their meals by reserving the wedding pavilion. Its unusual stone construction puts one in mind of a sacrificial altar – though candles and fine wine is probably sufficient to demonstrate your feelings. The gated island community of Naladhu is designed as the ultimate home from home – if you happen to live in a tropical paradise. 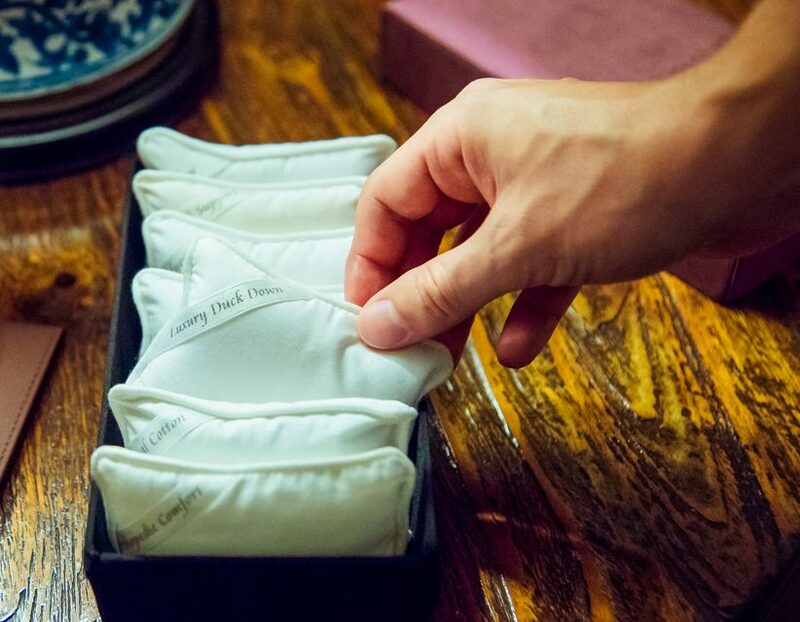 With 24 room service and the personal touch spreading to the contents of the bookshelf, guests can even choose from a sample of pillows, bringing new levels of ergonomic excellence. Dedicated to couples, those celebrating special occasions while on Anantara Veli may well find themselves invited for cocktails in the island’s garden, after which they can leave their mark amidst the orchids. 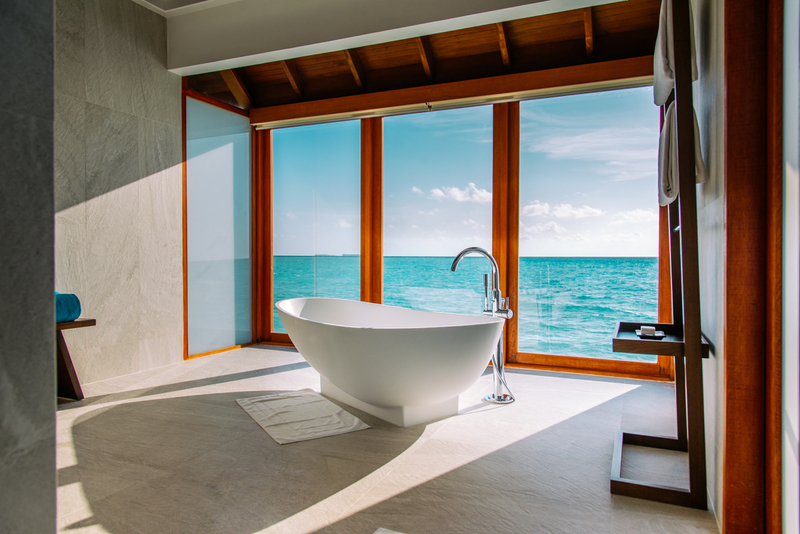 Clearly a favourite of architects, bathrooms in the Maldives never fail to impress – from liberating outdoor rain showers to cinematic views from the tub. Anantara Dhigu’s water villas are a perfect example, with the artistic simplicity of your tub almost as thought-provoking as the view beyond.